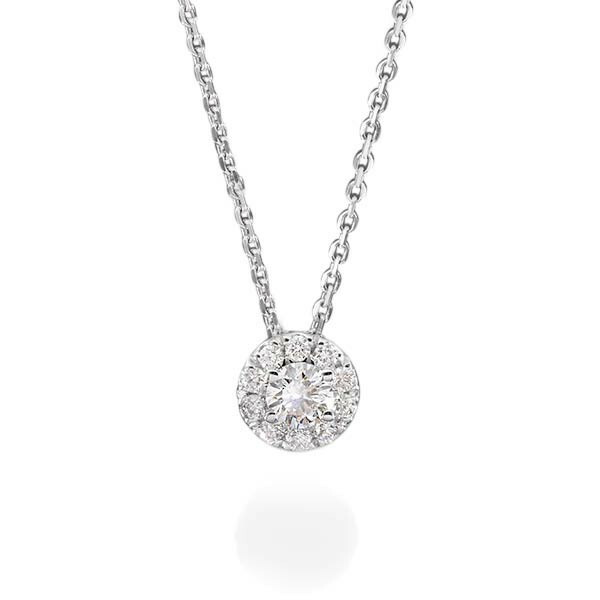 This Forevermark The Center of My Universe Diamond 18kt white gold necklace features a center round solitaire enhanced with a halo of pave diamonds. 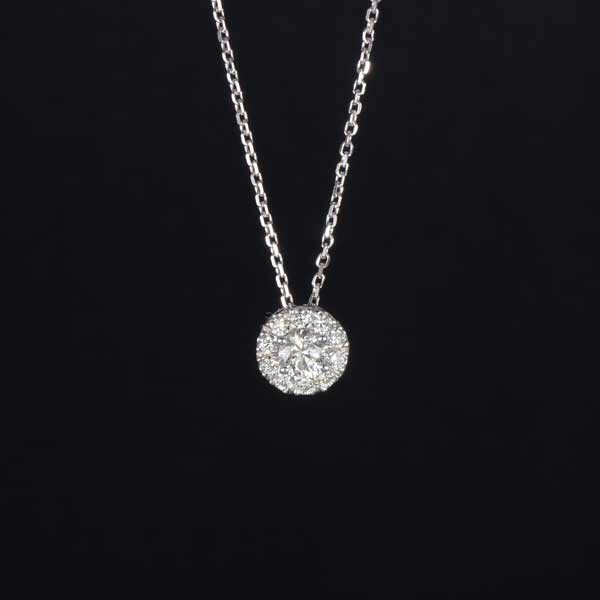 The 18kt white gold chain ensures the necklace stays exactly where it was meant to be. Forevermark has created a necklace that can only be called "a keeper!"